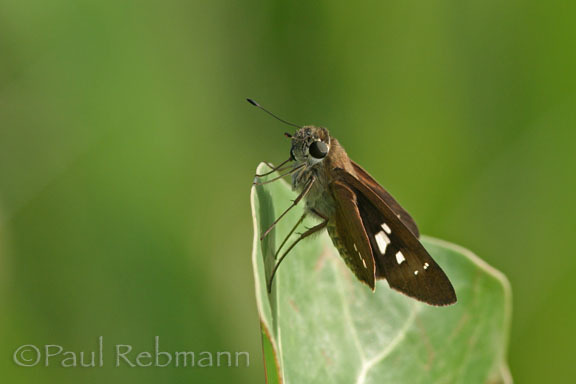 The canna skipper is found in marshes, wet prairies and urban areas throughout Florida and Texas south through the West Indies, Mexico, Central and South America into Argentina. Strays can be found primarily though the southern United States into the southwestern states and up the eastern Atlantic seaboard. 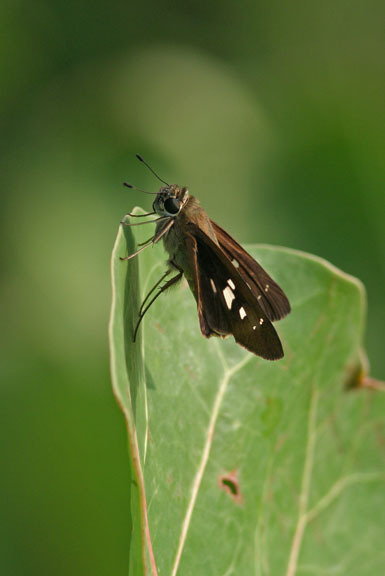 A dark brown butterfly with semi-transparent spots on the wings, including three on the hindwings. 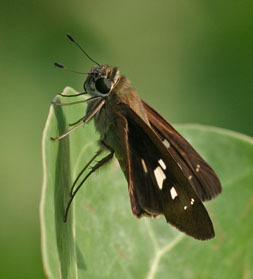 The wingspan is 4.5-5.3 cm (~1.75 - 2 in.). 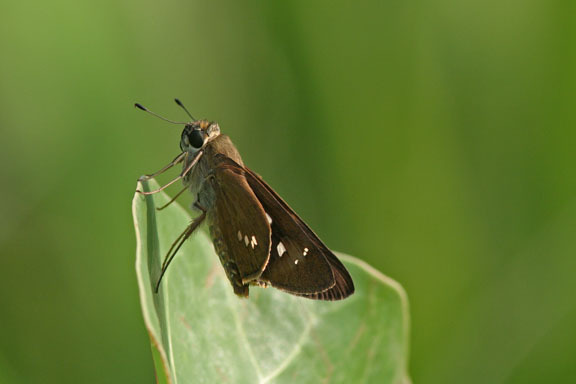 The larval stage of this butterfly is known as the greater canna leafroller. These caterpillars are greenish and somehwat translucent. The cocoon is made by rolling up a leaf and lining it with silk. 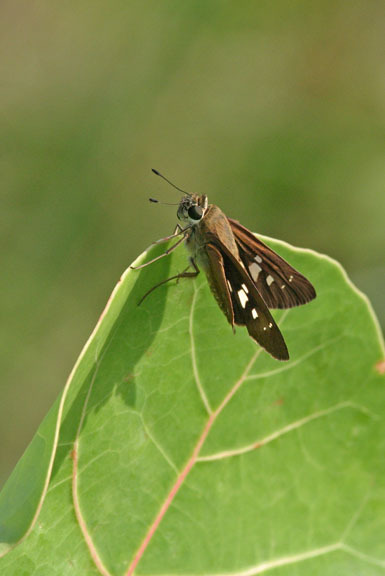 Calpodes ethlius is a member of the Hesperiidae - Skippers family.